There are six billion people in the world and the majority of them aren’t English-speaking white men. But if you were an alien who only watched Hollywood films based on real people you would almost certainly disagree with me. Now, I don’t have a problem with middle class English-speaking white men on an individual scale; I’ve dated enough men of this caliber and have many friends who fit this description. But that doesn’t mean I want to see the SAME biopics about white men with a character flaw or illness ALL the time. I LOVED The Theory of Everything and The Imitation Game, yes, but this year’s Oscars seemed to prove that there simply isn’t enough representation of any other demographic. Now don’t hate the playaz, hate the game, am I right? There are, frankly, millions of people who have changed and altered the world who are/were white, black, Chinese, Hispanic, Inuit (well, I’d need to research that, but there must be right?) and pretty much every demographic that exists, yet all these people (and this includes women), get relegated to wives, the best friends or the antagonist roles.Obviously that’s needed in some biopics; “you need to be true to real life right? You can see the logic in a black person not playing Shakespeare right?”. But it seems, to me, like Hollywood thinks the only ‘bankable’ biopics based on black men were Nelson Mandela and Martin Luther King. Similarly if you do Argentina, it’ll be Eva Peron, if it’s Egypt, you think of Cleopatra. So, I have a proposal! Here’s my personal list of five people I would LOVE to see a biopic on. These biopics would not only allow for other actors than white men, but they would be genuinely interesting and informative. Please note that the people I have chosen does do not necessarily reflect my political, economic or social views. Neither am I claiming that any of these people were angels. But hey, the millions of biopics Gandhi have all skimmed over all, that haven’t they?! Thomas Sankara already has a few films made about him (documentary or in French) but none have been that successful in the English-speaking world, so I think he’s a great contender. WHO? : Thomas Sankara (1949-1987) was the leader of Burkina Faso who was underreported in the West because of his Communist leanings. Referred to as the ‘African Che Guevera’. He basically completely changed Burkina Faso (for a time anyway…), which was very corrupt. He even went to work by bike! But then he was assassinated. WHY? : He’s a VERY interesting character, was forward-thinking and completely ahead of his time. He was also known for being charismatic and funny. BIOPIC ANGLES? : If Hollywood wants to remove the Communist angle (it probably would) his life was genuinely fascinating. There might be a heavy, depressing assassination scene at the end of the film, which would be stereotypical Oscar-bait. If they were to focus on his assassination and the overthrow by Blaise Compoare that becomes even more interesting (Compoare is still very much alive and has fled to the Cote d’Ivoire), so it becomes even more relevant. There’s already has a few films about her, including a documentary film in 2010, but no biopic. WHO? Bhutto (1953-2007) was the Prime Minister of Pakistan and member of the political Bhutto family. In her time in office she implemented economic reform and deregulated the markets. WHY? She’s quite controversial, so her life could be filmed from many angles; do you focus on her, being a woman, rising to power, or her alleged corruption scandals? BIOPIC ANGLES? 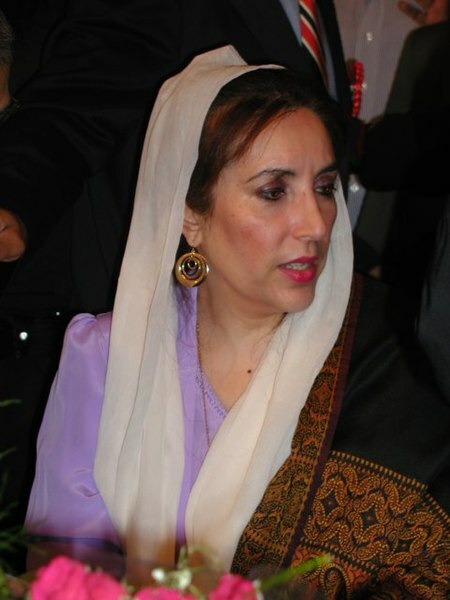 Like Sankara, Bhutto was also assassinated. (I like films about assassinations don’t I? I was actually tempted to add an Olof Palme biopic to this list, but as a white man he doesn’t make the list). WHO? 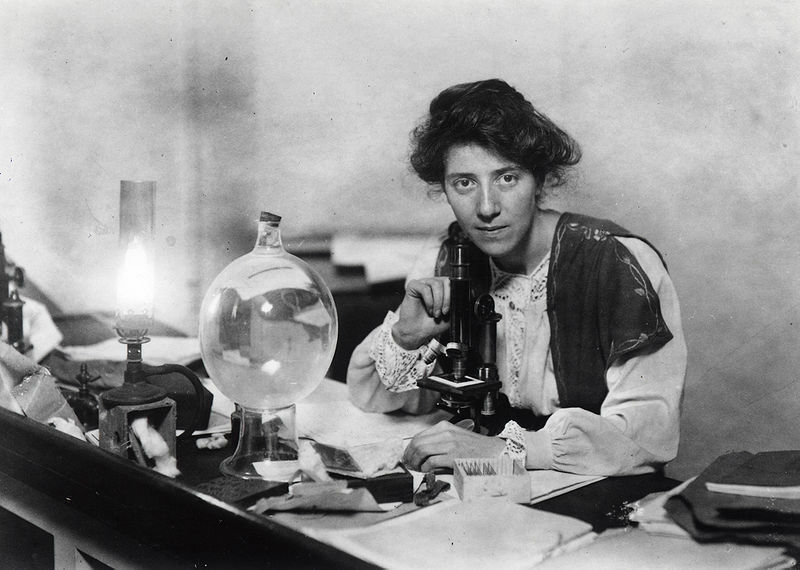 Marie Stopes (1880-1958) was a feminist, paleontologist and fossil lover who opened up the first birth control clinic in 1920’s England. WHY? She was a really interesting and modern woman who prevailed in a male-dominated world. BIOPIC ANGLES? She spent two years exploring Japanese wilderness (in the early 1900s! As a woman!) where she discovered the origin of flower species. There’s rumour that she had a romance with a Japanese man there. That story alone is a film in itself! WHO? 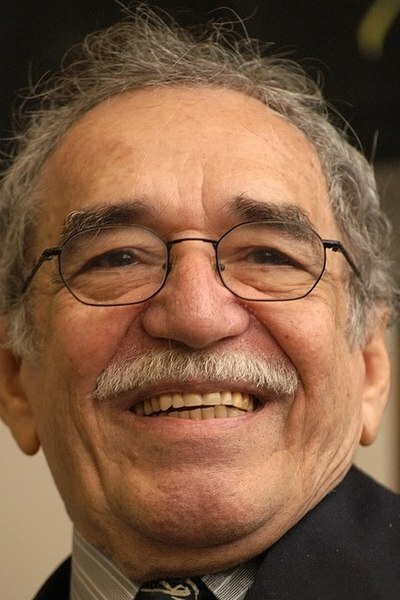 : Gabriel García Márquez (1927-2014) was a prolific author who pioneered the ‘magic realism’ movement. His best known novels include Love in the Time of Cholera to One Hundred Years of Solitude. WHY? : I think this would be a great way of showcasing the reality of Colombia through the eyes of an actual Colombian. BIOPIC ANGLES? : The film could end on him winning the 1982 Nobel Prize for Literature if they wanted to really ram up the Hollywood factor! WHO? Marie-Claire Heureuse Félicité (1758-1858) was the first (brief) Empress of Haiti, from 1804-1806. WHY? I didn’t actually know about her until I started this research, but her life story is fascinating. She was a progressive and much more tolerant than the Emperor, her husband, to all races and ethnicities in Haiti. She was 100 when she died, as well, so she must have seen an awful lot. BIOPIC ANGLES? : How INTERESTING would this be? Haiti in the 1800s? Think of the COSTUMES! There are so many angles; she managed to save many people in the Haitian Massacre of 1804, for example. Also she died in poverty, so it’s a riches to rags story. What more could you want? Perpetua and Felicity: two black women who were Christian martyrs in the 3rd century. Don’t often see that in the cinema. Boudica, the Queen of the Iceni (I may be biased here and she already has films about her, but she burned down all of Colchester because the Romans raped her daughters. I think that’s always a bit epic). Alexandre Dumas: the French mixed-race author of The Three Musketeers and The Count of Monte Cristo. I’m totally ignoring the fact that the (very white) Gerard Depardieu played him in a biopic a few years ago. The Queen of Sheba, I didn’t even realise this was a real person until now. There were a lot of biopics in the 1950s and 60s, why not release a newer and better one? Dasrath Manjhi: the Indian man who carved a pass through the mountains so that his town would have easier access to hospitals after his own partner died in childbirth. Akbar – culture lover and leader of the Mughal empire (near India) in the 1600s. There’s a 2008 Bollywood version but this could be really interesting. Usain Bolt, the Jamaican two times winner of the 100m (wouldn’t that be SO good?). Angela Merkel, the leader of Germany who grew up in East Germany. Rupaul – okay this may be a tad biased, but think how brilliantly camp! And also; a black drag queen isn’t that common or mainstream, is it? Salmun Rushdie, the Indian-British author of Midnight’s Children. Jane Goodall, I know she appeared in the Simpsons, but who wouldn’t want to see a film about women and her study of orangutans? Jose Mujica, REALLY fascinating man – the previous ‘pauper president’ of Uruguay. Desmond Tutu – The first Black Archbishop of Cape Town and a key figure of equality and against apartheid. I think this one is inevitable in another 20 years isn’t it? I have omitted some brilliant examples who already have recent (since 1990) Oscar-winning or prominent films about them, such as Muhammad Ali, Aang Sun Su Kyi, Mozart, Leo Tolstoy and Marie Curie. One positive is that there WILL be a Jesse Owens biopic in 2016! Now obviously I’ve barely scraped the surface. But this post goes to show: there are SO many stories dying to be told which would attract audiences. Hollywood, take note! Do you have any more? Add them in the comments bar!